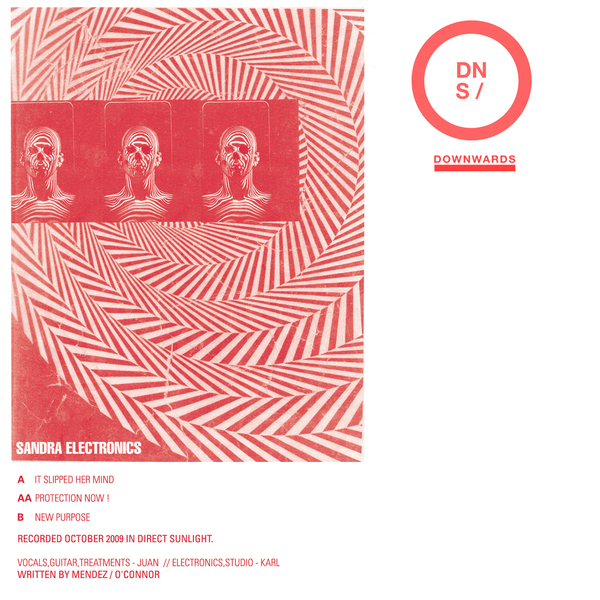 *Intense electronic experiments from Regis and Silent Servant under the Sandra Electronics moniker* Roused from a ten year slumber, Karl O'Connor's Sandra Electronics project recounts killer nightmarish drone assaults for Downwards. The lineup now consists of O'Connor and John Mendez aka Silent Servant, whose 'The Dull Age' 10" last year trod a similar path of Amon Duul-esque drone dirges with a darkly addictive quality. 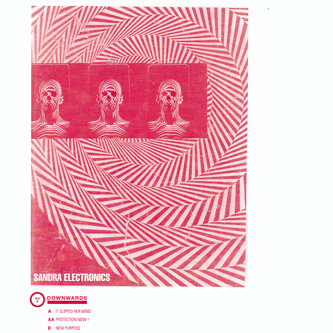 Both of the characters involved have long made clear their obsession/love for late 70's/early 80's industrial and post punk, finding explicit commonalities between bands like Suicide and Cabaret Voltaire's economical approach towards rhythm and sound, and their chosen field of industrial techno. It's in this grey workzone joining the two that we find 'It Slipped Her Mind', with pounding steam-press kicks and expansive, warehouse-shaped reverbs creating an intense and deeply sullen atmosphere for Mendez's smacked-to-the-gills vocal treatments. On the flip 'New Purpose' explores an equally stoic - yet more exotic - feel with Velvets-esque raga overtones creating another dimension of head-wrecking industrial potential while a knowlingly simple bassline gives a sneering sense of funk. Finally the al-too-brief 'Protection Now!' summons ghoulish radiophonic doom sequences from the ether, making us wish this was a much longer record. Don't miss.